Pool owners often wonder what is the best method to open their pools to help protect their pool liners. Pool liners Winnipeg region are always subject to a little more stress than some parts of Canada. 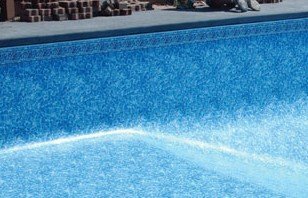 A rock solid opening tip is to fill your pool up to normal operating level prior to pumping off the winter snow melt off of the winter cover. This really does 2 things: 1st it keeps the water pressure inside of the pool greater than on the outside. This reduces the chance of naturally occurring ground water making its way under your pool liner and creating wrinkles. Secondly you will be able to start up the circulation of your pool as soon as you take off your winter cover exposing the water to the sun. Just simply place the garden hose underneath your winter cover to start adding water to your pool. Even if you don’t take off your winter cover yet it is still a GREAT idea to fill the pool up as soon as possible. You will want to circulate the water as soon as possible to keep the sun from helping Algae get it’s nasty hands on your pool water. With temperatures now getting in the lower 20’s it is a great time to start to opening pools.